The Silent Witness SW224 is the second unit in our group that boasts 2K or 1440p video recording, although it can’t match the frame rates of the Nextbase 412GW, with 1440p at 25fps, and both 1080p and 720p at 30fps. The unit arrives in a smart box that makes it something of an event to open, inside which beside the unit itself is an adhesive mount with a spare adhesive pad, a good length USB cable, a dual-port USB cigarette lighter adaptor, a handful of clips to secure the cable, a pair of trim removal tools, a remote ‘panic’ button with its own adhesive pads, and a quick start guide – certainly the most comprehensive package we’ve seen. A 16GB MicroSD card is included and is pre-installed in the camera, with support for cards up to 128GB. Power up the unit for the first time and a voice declares “SD card initialising” as it formats the card. With that complete, the voice will declare “GPS connected” once it’s acquired satellite lock, and you’re all set – it’s certainly one of the nicer out-of-the-box experiences. 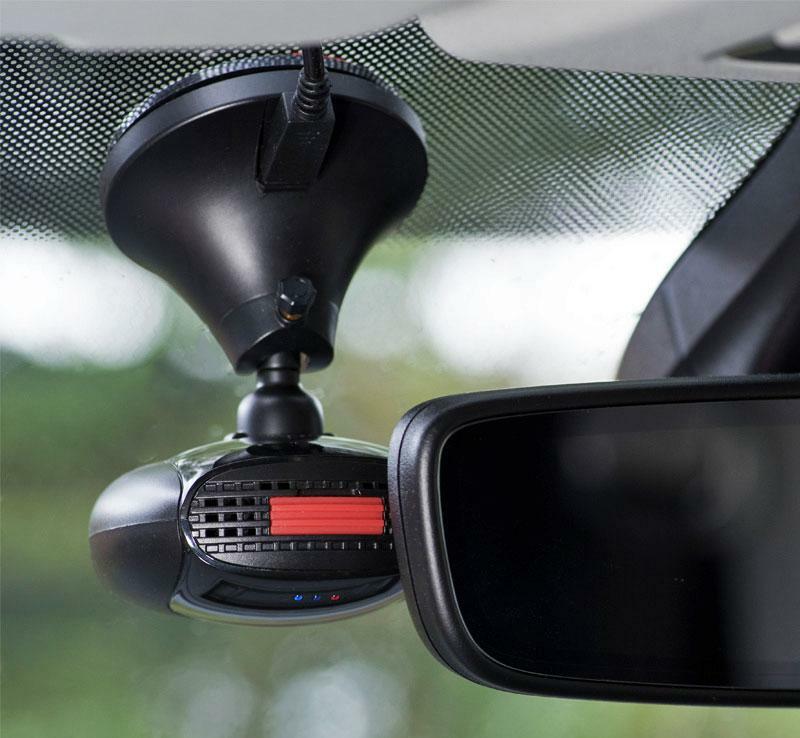 The windscreen mount at first glance is excellent: usefully, the adhesive pad is applied to a separate disc that can be slid away from the rest of the mount, meaning you can quickly remove the mount from the vehicle leaving just the disc behind – great for swapping between vehicles. With the power cable plugged-in to the mount, the camera snaps on to it via a magnetic coupling, making it by far the easiest camera to remove and replace that we tested. However, there is a sizeable caveat: while the camera angle can be adjusted via a ball-and-socket within the mount, the tiny screw used to secure it isn’t really capable of holding it firmly in place, leaving the camera free to move from side-to-side slightly. In some cars, engine vibrations caused a buzzing within the mount that could be heard on the recorded audio track, too. There’s also no suction mount alternative. That aside the SW224 is small enough to be easily tucked behind a rear-view mirror and, other than announcing its presence with a doorbell ‘ding doing’ when you switch on the ignition (although you can turn that off), it will quietly go about its business until the day you need to retrieve its footage. Here, you have two choices – either remove the SD card from its rather fiddly compartment and download the two-minute files directly (there’s no USB port so you’ll need your own card reader), or connect to the camera over Wifi via the Silent Witness app for iOS and Android. 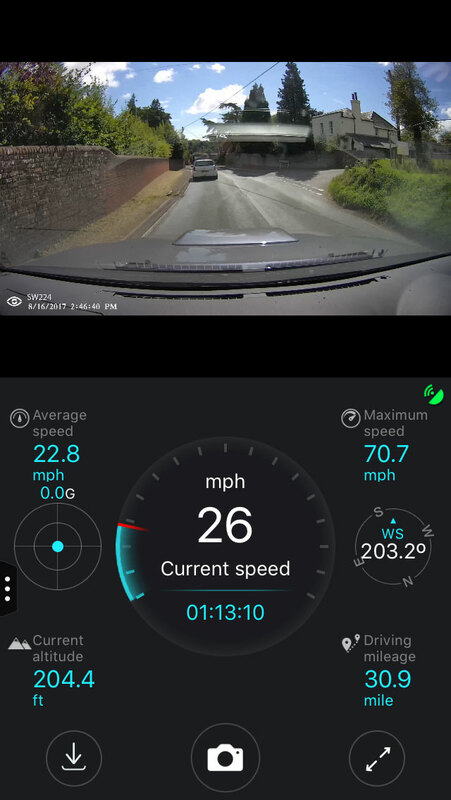 As dashcam apps go, it’s almost certainly the most polished in terms of appearance and breadth of functionality – in fact, the sheer number of features is almost bewildering. As well as the ubiquitous live-framing, there’s the ability to take still pictures, alter a vast array of configuration options, monitor the capacity of the SD card, plot journeys over a map, view trip information and, well… a whole lot more. 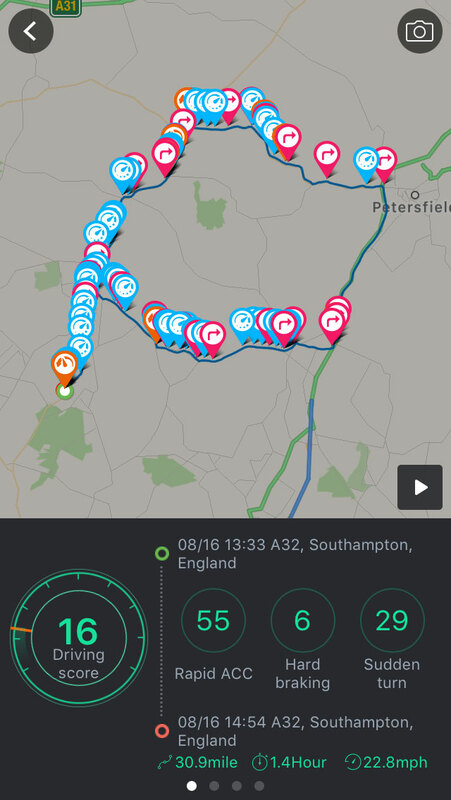 Although one curious omission is the ability to overlay the GPS co-ordinates – speed, date and time are available, but nothing more. Each journey also achieves an overall ‘driving score’ that rates your performance based on rapid acceleration, hard braking and sudden turns, although an hour spent in a bouncy Toyota Hilux seemed to create a very poor impression! 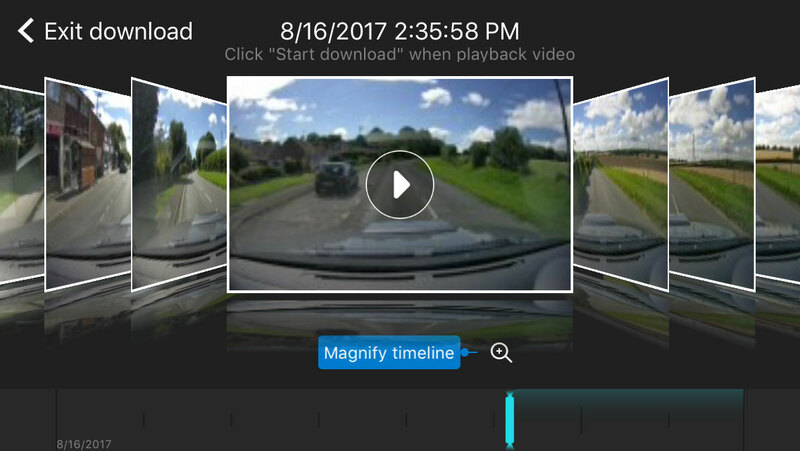 Downloading footage to your phone requires the use of a timeline system which, although visually very impressive, we found a little fiddly at times – the option to download individual video files without the timeline could be handy. Downloading to your phone over Wifi is also incredibly slow, at the rate of roughly one minute per minute of recorded footage. 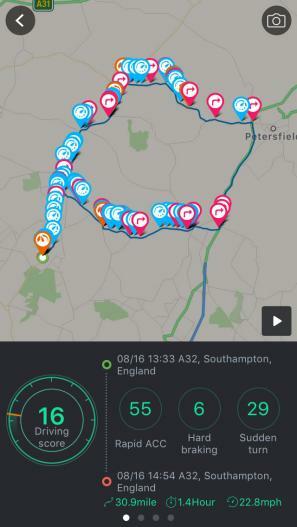 There’s no matching desktop application so the files are tied to your smartphone if you wish to review the GPS logs, and you’ll need to disconnect from the camera’s Wifi for the maps to operate correctly. Although the Silent Witness incorporates a G-sensor and is supplied with a cute little remote control, it doesn’t protect footage in the same way as the other units on test. Should the unit detect an impact or if you click the remote, the SW224 takes a still photo and records an 11-second video clip to be downloaded to your phone. However, video of the incident isn’t protected in any way, so as your card fills up it risks being overwritten. The impact isn’t marked on the timeline, either, so you’ll need to scrub your way through all the recorded footage to find out what happened either side of it. In terms of image quality, the SW224 provides a clear image with a high level of detail retention during the day. However, it can suffer from noticeable macro-blocking in large, uniform areas such as roads, while at night the image becomes noticeably softer, particularly where motion is portrayed such as road markings. We also noticed a problem where the first video file created in each journey had its audio substantially out-of-sync with the video. The SW224 unit scores highly for its out-of-the-box experience, the comprehensiveness of the included package, and its ability to support large 128GB SD cards. We love the magnetic coupling although the mount’s securing screw needs improvement, but one undeniable high-point is the polished and remarkably well-featured Silent Witness smartphone app.